THE Vistas, the Beachfront LaVentana condominium development, incredible views, just north of the center of the activities and the campground, 58 meters of beachfront & 100 meters deep, looking for investors to build studio condos to penthouses starting at USD$200k; all units with incredible beachfront views. This is a premium location of the heart of the town. Ideal for windsurfers and kiters that can launch right here and be safe because if you break down you will be blown into the end of the bay soon vs worrying about hypothermia. Kiteboarding is a rapidly growing sport/lifestyle. The windsurfers bought into buying retirement homes 20 years ago and that was a small sport. Kiteboarding is beginning to blow windsurfing off the water.﻿ Above is the concept of a sheltered pool we aspire to simulate. The demand was recognized by a condominium﻿ developer that completed a 45-unit project Club Cerralvo just recently not far "across the street" not beachfront, and no direct access to the beach yet these units sold like hotcakes. These units began selling at USD$100.00 a square foot (for a leader) studio and went up to $200.00 a square foot for the majority of units. That development is nicely landscaped and with a large pool that is not heated so not usable in the winter (when the owners are there), and absolutely no beach access. All units are sold. The resale of these is expected to give the initial owners a return on their money. Resale of their penthouse units is at $300.00 a square foot in 2018. In LaPaz 30 miles away, there is only one upscale condo development on the water Costa Baja these sell for $300.00 a square foot on up. I provided links to these below. Ventana Vistas will be upscale and beachfront each unit having a million dollar view with a private balcony. Designed eco with R20 insulated walls soundproofing. 2 landscaped pools/hot tubs, 1 pool right on the beach/1 wind sheltered and heated in the winter, full-time security, property management, all units have incredible views that are priceless, and prime location. Walking distance to about 7 restaurants and 4 bars and one grocery store. Help us break ground end of 2018. All pictures are conceptual in nature on how we envision our dream. Parking will be underground with an option of valet parking a block or two away. 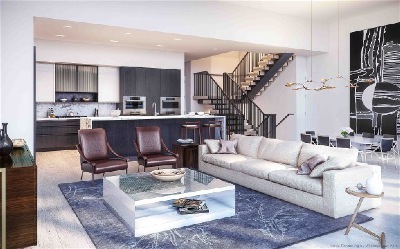 Below is the look and feel of the larger units from a two-floor penthouse to a single floor 3 bedrooms 2 bath unit with a deck at 1400 square feet. As I noted these will be built super insulated with AC units and soundproofing, two pools one public hot tub. The top pool will be sheltered and solar heated for winter use. We will focus on water conservation on the pools by having the top one wind and elements protected. The lower one at beach level will be for ideal spring summer use. . The entire grounds will be a fully quality landscaped place. We will have the staff to do the landscape and pool maintenance. Though there will be a community hot tub, each unit can have a personal outdoor hot tub as an upgrade. The goal is when you are here it is quality time, not errand or fix things time. As we know quality beachfront never loses it value in premium areas, especially with kiting still in its beginning years. This lot is the best one there is for such a development. Launch from right in front... No other location will have as dramatic views and great location. Walk to so many eateries, the farmers market is 20 yards from here an easy walk to the grocery store is not far but a bike is preferred. And we do not have the blaring music of the south beach or the theft issues of down there. Below is the look and feel of some of the decks. Below are the look and feel of the walkways we are aspiring to. ﻿ Below pictured is again the look and feel of the walkway space we hope to have. There will be up to 3 community areas. 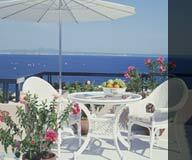 The major one is beachfront pool area no cooking facilities. One with the upper-level pool with an open state of the art kitchen with walk-in refrigerator. for evening cooking and a short order chef at peak times, breakfast, lunch, and dinner and events... This area will also have the standard TVs around and bar. Our food and bar service close at 9 pm. The last community area will be a community hot tub at the road at a high level for sunset enjoyment, with card-game room and air conditioned work out room below it. Concierge service till 7 pm. ﻿ Below pictured is again the look and feel of the lower beachfront pool feel space we hope to have. Previously we showed the sheltered pool look and feel we will have both on the property. here is our location, we are in the golden mile. Here are our southern million dollar views too. 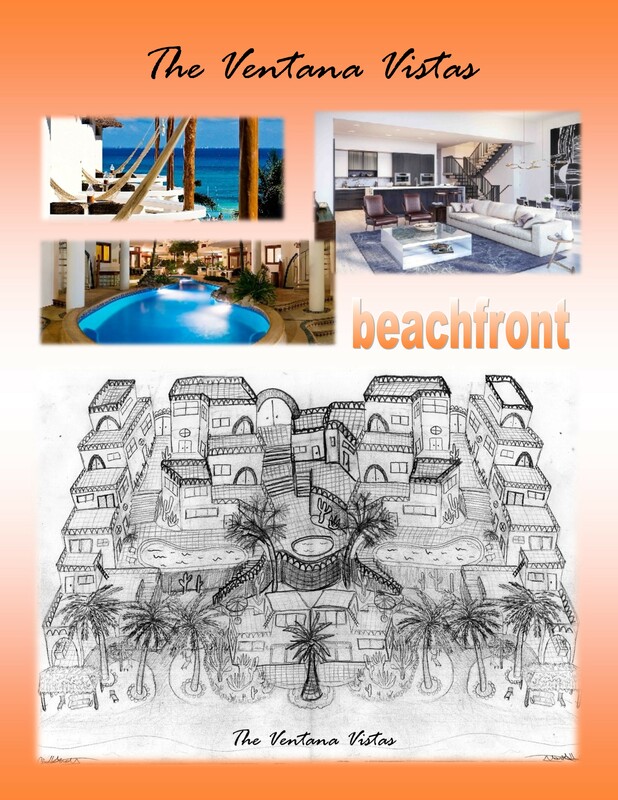 We believe since locally there was a 50-unit condo development that sold out quickly with units were selling for $200.00 a square foot and were not beachfront with no direct beach access, the view units there are now re-selling at $300.00 a foot. we believe our price at $300.00 a square foot starting price for these is a deal. 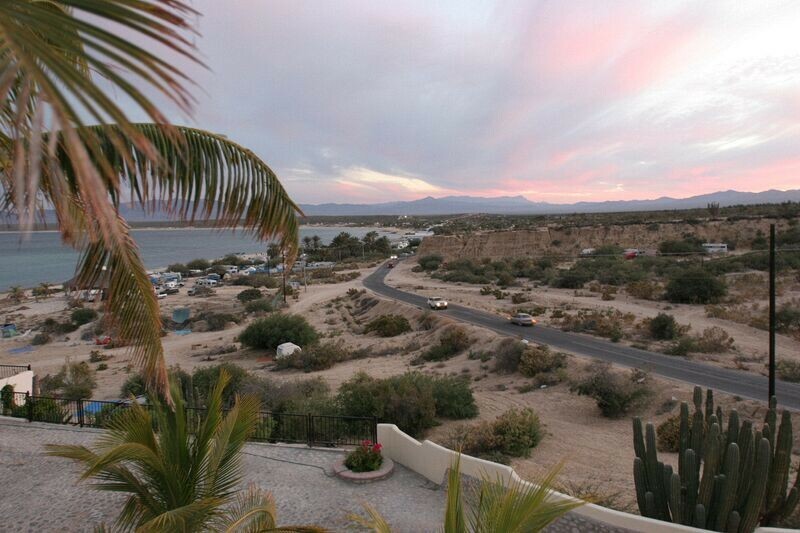 here is a link to a property that is beachfront in LaPaz a 30-mile drive. These sell at $400.00 a square foot when we looked last. In cabo beachfront can sell at $1000.00 a square foot. yuck cabo! 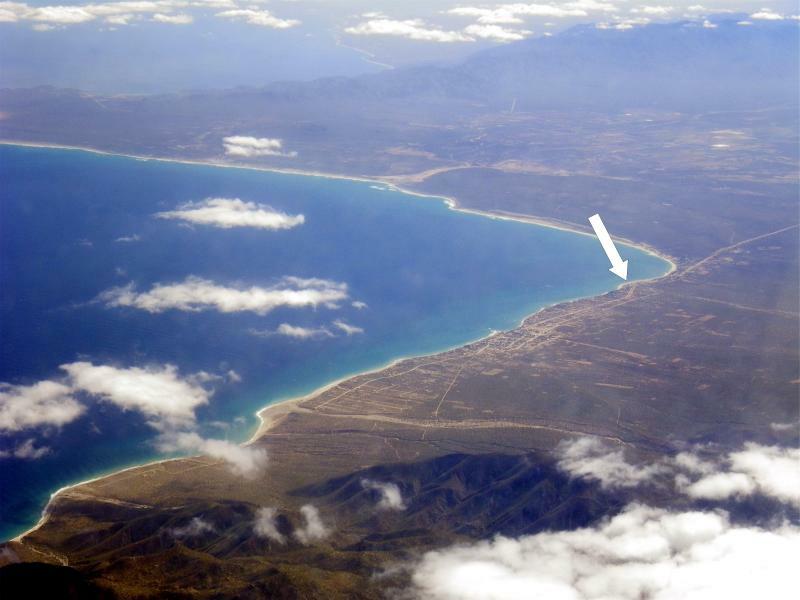 Here is the link to the development in LaVentana almost sold out that is not beachfront only 400 meters away on the bad side of the road but still in the better area and were selling for over $200.00 a square foot for some units. Resale has some of the penthouse units at $300.00 a square foot right now. kind of a view like this adapted to the property we want to emulate. Copyright 2016 Ventana Vistas. All rights reserved.